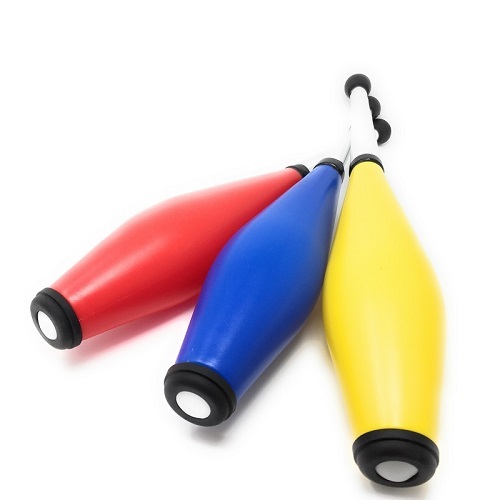 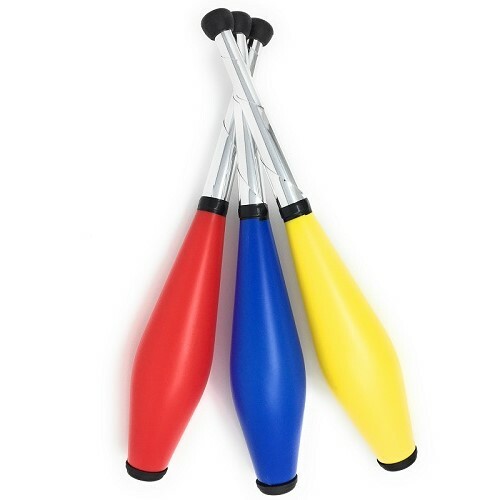 These juggling clubs are the best way to start with clubs. 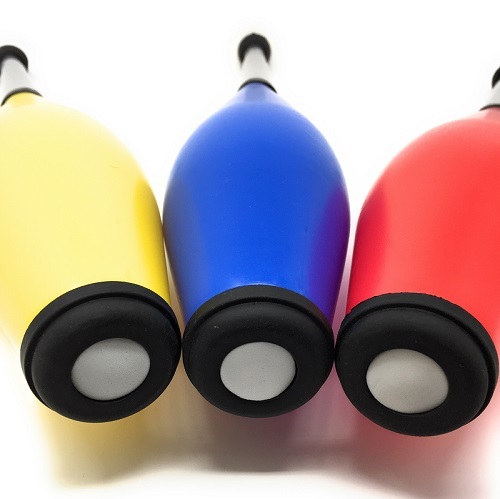 They are extremely tough and virtually unbreakable. 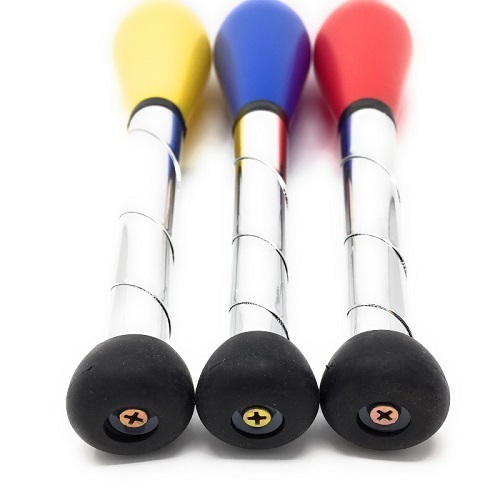 The handles have a soft tape that provide a reasonable cushion, which makes it easier on the hands.